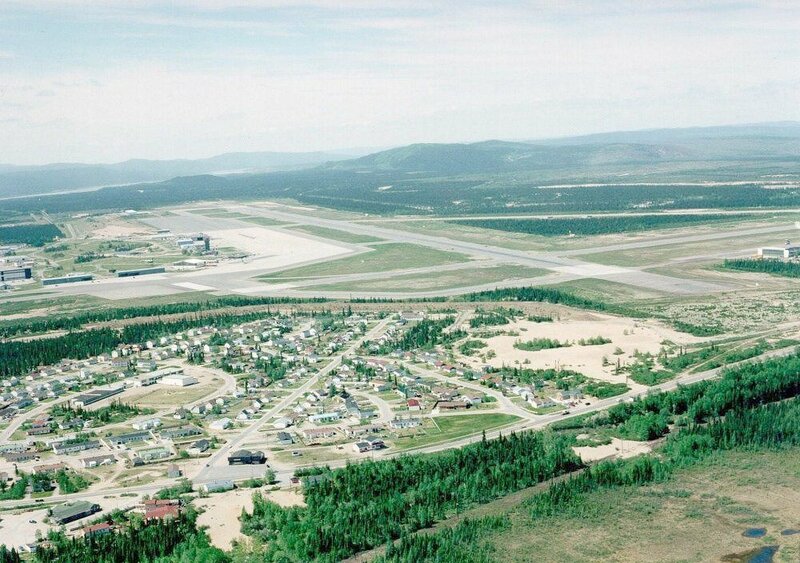 Aerial photo of Spruce Park and runway 09-27 - 2001. 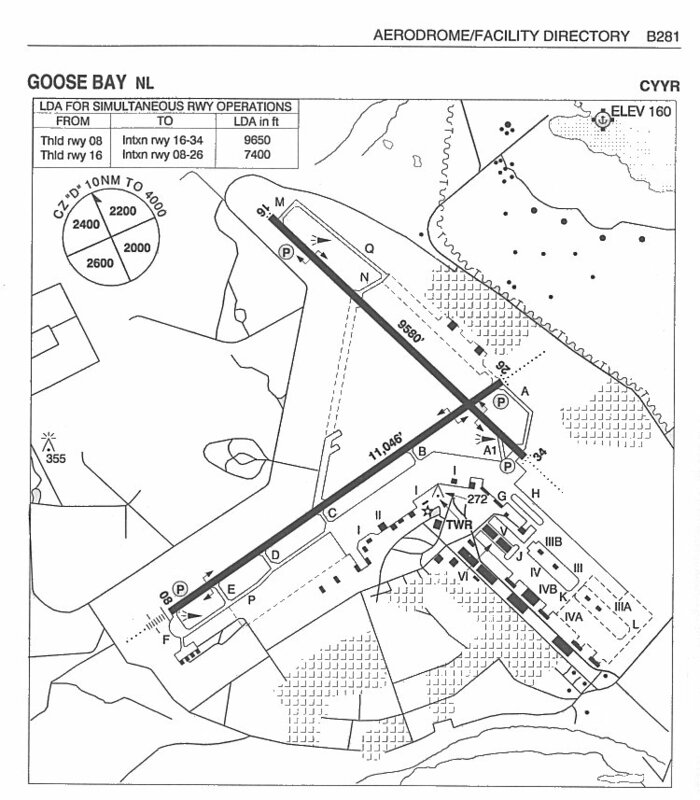 Larger image of the Spruce Park and runway 09-27 photo - 2001. 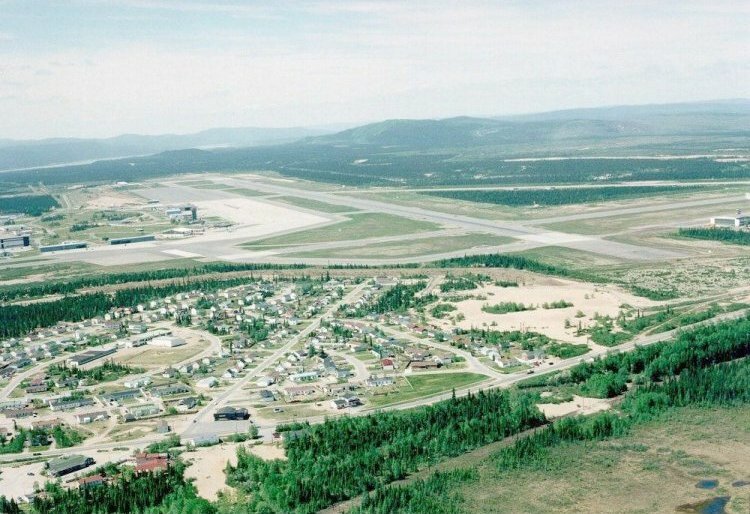 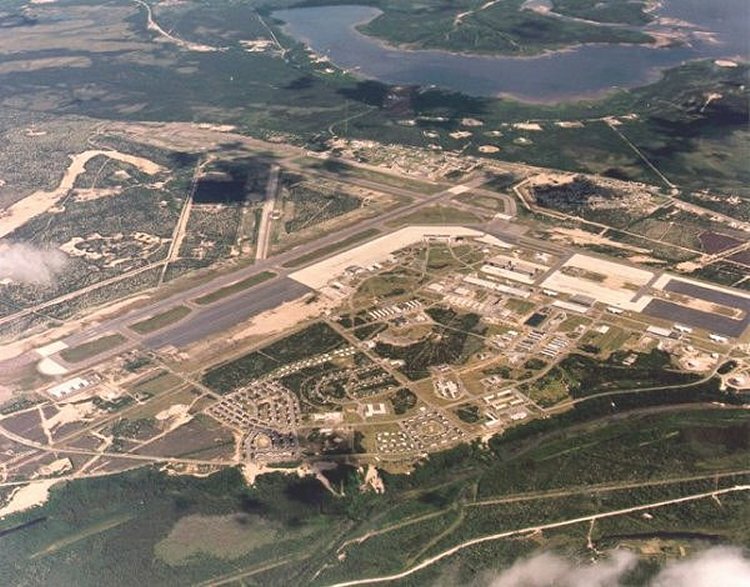 Aerial photo of the airfield at Goose Bay - 1992.